The Vesdura Vinyl Plank - 6.5mm WPC Click Lock - UGen Collection, uses a WPC (Wood Plastic Composite) core and combines the resilience of luxury vinyl and stability of a composite vinyl core with authentic “Antique Wood” patterns giving it a distinctive character to any room and is complimentary to any decor. This collection is a high-end, durable and easy to install using our innovative Unilin Click Locking system. Made for residential and commercial applications, the Vesdura Vinyl Plank - 6.5mm WPC Click Lock - UGen Collection is perfect for any location in the home or business environment. They are anti-microbial and 100% waterproof making them also suitable for kitchens, bathrooms, laundry rooms, mudrooms, kid’s nursery rooms and safe for schools, hospitals, assisted living and healthcare facilities as well. This collection offers a thicker and ultra-transparent wear layer for maximum durability in high traffic areas protecting against scratches, scrapes, scuffs, stains, dust and is designed with a high life expectancy that will last for decades with minimal maintenance. A perfect choice for the “DIYer” and also a comparatively less expensive product much easier to afford than with other flooring options with similar attributes. Get the natural look and feel of real wood minus the maintenance. Quick and easy to install Unilin (Angle/Tap & Go) glue-less Click-locking system to ensure the strongest pulling strength and faster installation. No need to acclimate prior to installation. 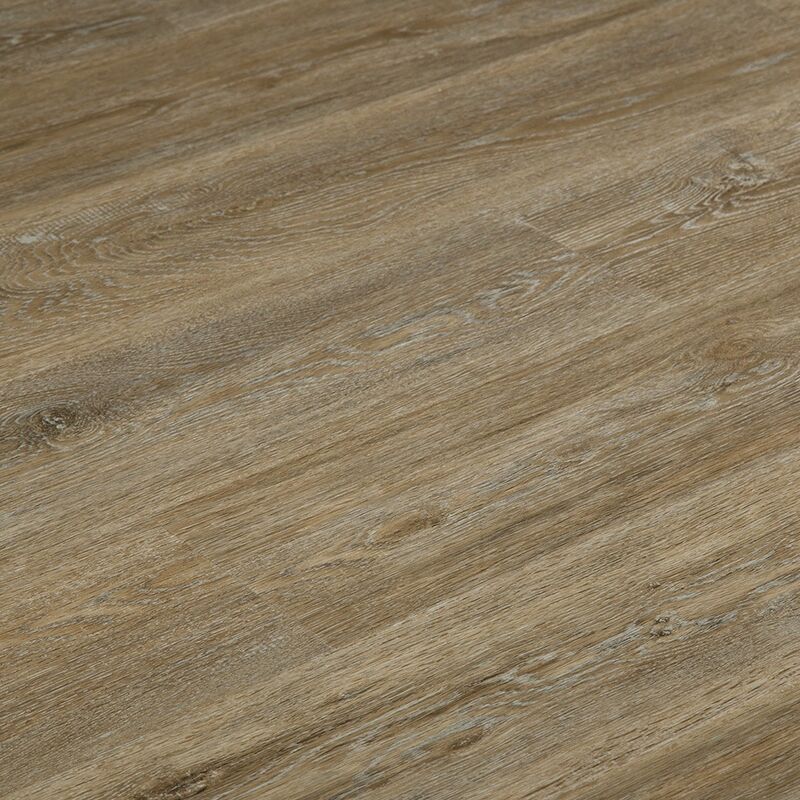 Plank thickness is 6.5mm (2.5mm 100% Virgin Vinyl and 4.0mm Composite Core Layer) with 0.5mm/20 mil commercial wear-layer and superior UV coated top layer giving maximum protection. Plank Dimensions are W 7”x L 48”. Underlayment is highly recommended. Easy to maintain and to replace with low maintenance. Environmentally friendly with plasticizer made from 100% organic raw materials and Solid Virgin Vinyl. Product is 100% recyclable. FloorScore and DIBt Certified. Warranty is 30 years residential and 10 years light commercial.